Yes he did, there are videos of him on the net lifting 200 + 240 . (probably few kg heavier than 94kg and that was in training but still this record is 35kg higher than 94kg gold medalist. I have to say, with the exception of Salimi, Rostami and Nasirshalal (London silver medalist) the rest are OK, they were 5 but one of them Anoushiravani (who is now the head coach) rarely participated in their coup and Mohammadpour was just a kid (poor guy had a serious elbow injury which can even end his career) I can name Molaei (2013 world silver) or Taghian, even Moradi or Babari if you count dopers lol they didn't get into all these stories and stay out of them. btw it will be hard for Iran to find 5 competitive weightlifters this time (back in Rio we had 6 medal favorites and won 4 medals) Rostami will take one of the spots, Moradi too if he gets cleared by IWF, I hope for Molaei but he also had a surgery back in 2014 and I'm not aware of his current shape.as for Salimi we have to wait couple of months to know his new situation. I think they will also send someone in 105kg, maybe Barari. or Nasirshalal or Kourosh Bagheri's nephew Emad Bagheri. Hi Mohsen, do you know how will the Iranian wrestlers be selected for Rio 2016? And is the list of shooters final and irrevocable? 57: Hassan Rahimi and Reza Atri will go to an international tournament later to decide. Since Rahimi needs more international competition and also they don't want him to cut weight twice. 86: In this weight we have 4 wrestlers, Alireza Karimi, Ehsan Lashgari, Meisam Jokar and Reza Bayat, they will compete in Iran in round robin format. 125: Komeil Ghasemi and Parviz Hadi will go to an international tournament later. that wasn't fair to make them wrestle in April since Ghasemi just won the quota for Iran and won't be ready to wrestle soon. PS: those who won the quota for Iran at 74kg and 97kg (Abbas Tahan and Alireza Ghasemi) didn't even make it to the final Olympic trials ! 59: NOT QUALIFIED YET. After Sourian failed, they will send Saman Abdevali to Mongolia, if Saman manages to win the quota there wll be a match between him and Sourian, otherwise Sourian will probably go to Turkey to try his very last chance. 66: Nothing clear yet, Norouzi just qualified few days ago, they will probably send him and 1-2 challengers to an international tournament, maybe Zeidvand and Binangard. 75: Saeid Abdevali is already selected. he beat his closest rival Payam Boyeri twice recently and both comfortably, and since Boyeri is injured and can not make it to April trials. 85: We have 6 wrestlers here. they will wrestle in round robin format in April, Habibollah Akhlaghi, Mojtaba Karimfar, Yousef Ghaderian, Hossein Nouri, Davoud Akhbari and Davoud Abedinzadeh. 130: NOT QUALIFIED YET, they will send either Babajanzadeh or Gasemi-Monjazi to Mongolia and I have no idea what will happen if they qualify in this weight which is clearly Iran's weakest men's weight. Reza Yazdani, one of Iran's gold medal hopes in Rio got injured and will miss the trials ! They postpone the Olympic trials in his weight hoping for him to recover fast. 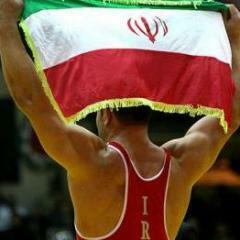 Yazdani missing the Olympics will be a big blow for Iran. beside him, Olympic defending champion Ghasem Rezaei also got injured and since he won't recover in time for Friday trials they postponed the trial in this weight and they will wrestle in another time. Rezaei's injury is not that serious. Yazdani and Karimi are already selected for Rio. no doubt about it. but in 65 freestyle and 85 Greco the underdog won the final. Ahmad Mohammadi is a gold medal hope for me and not sending him to Rio will be a big mistake, Nassiri is indeed good but still Mohammadi is better and already proved himself in international competitions. as in Greco, Akhlaghi was also a gold medal hope for Rio but to be honest Nouri beat him and dominated him. it will be hard to not send Nouri but his record in international competition is terrible !, he is just a bad matchup for Akhlaghi. 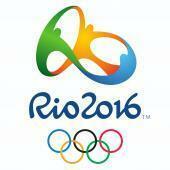 I really hope they send Akhlaghi to Rio. What did they say before the trials? Was the winner supposed to qualify automatically for the national team or was there a backdoor? I agree 100% that Mohammadi will be the better guy for Rio, but I am not so sure about Akhlaghi. Despite winning a bronze medal in the last WCH, he didn`t convince me. That Fall in the Quarterfinal was unnecessary. I always fell that Akhlaghi is a little bit lazy. On the other hand I don`t know nothing about Houssein Nouri. Noshad Alamian qualified for Rio in Table tennis . Nima Alamian and Neda Shesavari were already qualified. Why even have trials with 2 athletes if they might select the loser anyway? Wouldn't that be extremely unfair? No they never said they will send the trial winner for sure, but winning the trials you have a better chance. Nouri is the younger version of Akhlaghi but much weaker in defense, I watched his match in Baku GP against Chakvetadze and OMG, the Russian manhandled him easily, with more training and more experience he can become a world class wrestler in near future but not NOW ! this is Olympic year. yeah that fall was unbelievable for Akhlaghi , he was leading 7-0 but it happens, he won the bronze medal quite easily and could even wrestle in the final if it wasn't for that dumb mistake.